Konstantin Stanislavsky widely used pranayama exercises to develop actors’ creative well-being , even including a count for inhaling-exhaling and holding the breath. After seeing the effects of yoga on his students, Konstantin Stanislavsky quickly started using it even more: in actors’ trainings in the Second Studio (which was established in 1916) and the Opera Studio (founded in 1918), and for the work of the actors in the MAT (Moscow Art Theatre). Stanislavsky’ s notebooks from 1919–1920 contain many notes on the application of Hatha Yoga, together with Swedish gymnastics, exercises on rhythm and voice training in his classes. The most detailed connection between Stanislavsky’s system and yoga is found in notes to the classes with the MAT artists (1919). Rose Whyman, a British scholar of Stanislavsky’s work, has pointed out that the notes contain a hidden synopsis of the part of the book Hatha Yoga on prana. Although Stanislavsky does not refer directly to pranayama, an aspect of yoga that teaches the skills of managing prana, his notes testify to serious study of concepts of yoga practice. He widely used pranayama exercises to develop actors’ creative well-being , even including a count (6-3-6-15) for inhaling-exhaling and holding the breath. Stanislavsky’s preoccupation with yoga only rose in the years immediately following the 1917 Revolution, when he studied the connections between actors’ psychological and motor and physical conditions. 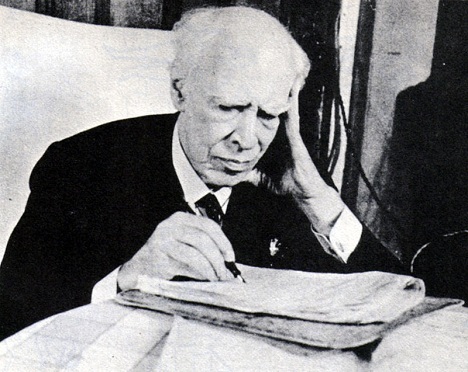 Stanislavsky’s discussions with the actor-singers of the Opera Studio (1918–1922) reveal new connections between his “system” and yoga, and his use of yoga techniques of rhythmic breathing. In summaries of Stanislavsky’s conversations by the novice singer Konkordiya Antarova, there is a story ascribed to “a Hindu sage;” a comparison of the undisciplined mind to the movements of a drunken monkey. He also mentions a Hindu saying: A lesson passed down to a student in answer to a question on solving a creative problem and an appeal to trust his subconsciousness; here the image that is often used by Stanislavsky, the “pocket of the subconsciousness,” comes up. These thoughts, of course, are closely connected to yoga’s tenets of pranayama: consciousness, the body and emotions are linked by the thread of breath, and the ability to breathe correctly is paramount for a person’s spiritual ascent. For Stanislavsky, the key moment in using yoga’s wisdom was the deep link of outward physical exercises and spiritual upbringing, the path to self-actualization through deliberate work on oneself. According to Stanislavsky, the first step was concentration; the second, awareness; the third, fearlessness and courage in creativity; the fourth, creative calm. Just as the first four steps of Hatha yoga are followed by a transition to the higher steps of Raja yoga, in Stanislavsky’s approach, after the four steps of “working on oneself” there is an achievement of higher artistic goals. For the yoga system and Stanislavsky’s teaching, the process of upbringing and training concludes in the ability to use “the subconscious mind, under orders of the conscious mind” (Ramacharaka) or “the work of the subconscious realm of the mind, which is accomplished by commanding the realm of the consciousness” (Stanislavsky). As in yoga, in Stanislavsky’s approach there is cognition of a “system,” and the Path is impossible without a direct teacher-student link. The list of examples of convergence between Stanislavsky’s principles and basic yoga principles goes on. The “system” of the great director was based on the conviction that the knowledge of oneself, the path to oneself and “self-construction” free a person and give rise to genuine creativity. Of course, it is impossible to say that everything Stanislavsky did followed Ramacharaka’s version of yoga. Stanislavsky’s teaching developed in dialogue with several sources, but it is obvious that yoga was among them and was one of the most important sources. The writer used Sergei Tcherkasski’s 'Stanislavsky and Yoga' as the main point of reference.